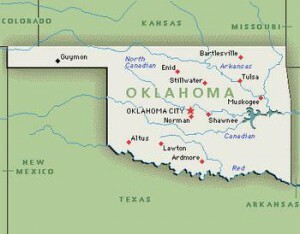 There’s a measure (also seen here) on the ballot in Oklahoma that would ban any state court from using Sharia law. Sharia is Islamic law. Basically, it’s a legal system that takes all of the moral teachings of Islam, and applies them to civil society. While many of its tenets would be considered extremely backward and repressive by modern Western standards, and I certainly wouldn’t want to live under it, Sharia law is not as simplistic as it’s often made out to be. It is a complex and nuanced legal system, and while some of its rules are brutal to the point of being incompatible with a modern democratic society, it also governs things like family law, inheritance, commercial contracts, money lending, and other mundane topics that we would expect a comprehensive legal system to govern. And some of its rules on these subjects, while certainly very different from Western rules, are not as draconian or authoritarian as one might expect. Still, in a modern democratic state, we should take safeguards to ensure that we aren’t living under an authoritarian theocracy before we know it, right? Of course, but the thing is, we already did take such precautions, over 200 years ago – the U.S. Constitution addresses these issues just fine. The 1st Amendment specifically prohibits the government from establishing a state religion. This has been construed as barring the government from giving virtually any direct support to religious organizations, or adopting laws which have no secular purpose, and sere only to codify the moral dictates of a particular religion. This already prohibits any court in the U.S. from applying Sharia, or any other religious law, in almost all cases. So, the law is simply redundant and unnecessary, and while silly, won’t really do any damage or have negative unintended consequences, right? Well, not exactly. In the U.S., parties to private contracts can choose the rules under which disputes arising from the contract will be decided, and these agreements are almost always honored by courts. Furthermore, the parties can agree to private arbitration, where there is even more flexibility as to what rules will be applied. In some cases, Muslims in Western countries, including the United States, will enter into private agreements which call for disputes under the contract to be resolved according to Sharia law. Sharia covers things like family law, sales of goods, contracts, and the lending of money. Because these are private contracts, they only directly affect the people who voluntarily enter into them. Obviously, there’s no way for individuals to contract themselves into a different system of criminal law, so we don’t need to worry about people being stoned to death, or any of the other brutalities associated with Sharia. They’ll simply be disposing of their own property, amongst themselves, under rules that differ from the default system. It’s incredibly common for contracts to choose the rules that are to be applied in court or arbitration. Sometimes, the law of foreign countries will even be used, and courts tend to not have any problem with this. And under the Federal Arbitration Act, state and federal courts are bound to enforce arbitration agreements, so this state law, if passed, will be superseded by federal law. This is not the only disturbing issue with this ballot measure: in addition to completely banning the use of Sharia law from being used in public law (which is redundant for the reasons discussed above), and from private law (which is a gross infringement on the right to contract), it does the same with international law, and the law of foreign nations. As mentioned above, it’s not terribly uncommon for private contracts to call for the use of foreign law to resolve disputes arising under the contract. This law can be applied in state or federal court, as well as in private arbitration. A blanket prohibition against the use of foreign or Sharia law in cases where the parties have consented to it would mean that many contracts would have to be implemented in a way that goes directly against the clear intent of the parties. Most disturbing, however, is the prohibition against using international law. The U.S. Supreme Court ruled over 100 years ago that “customary international law” – rules of conduct between nations that have developed over the centuries, since the advent of the modern nation state – is the law of the United States, when relevant. Customary international law applies in a wide variety of situations, whether you’re doing business with a company overseas, or if the ships of two countries collide in international waters. So, what is Oklahoma thinking? A cynical person would claim that this ballot measure is simply a ploy to bring conservatives out to vote in larger numbers than they otherwise would. This may well be part of the story. However, you might remember a few years ago, several Supreme Court justices took a lot of flack when they looked to the laws of other countries in deciding a death penalty case. This led to a widespread outcry. However, the law of other countries is often cites as persuasive authority in appellate decisions. They aren’t giving force to foreign law, they’re simply using it, among many other sources, as a guide in deciding a legal question that American courts have never dealt with. Often, foreign law is only cited to provide an example, or counter-example, of the point that the judge writing the opinion is trying to make. Polls indicate that this measure will probably pass. Hopefully, its impact will prove to be purely symbolic. If the voters want to express the fact that they don’t ever want to be forced to live under Sharia law, that’s fine. In fact, it’s perfectly reasonable. 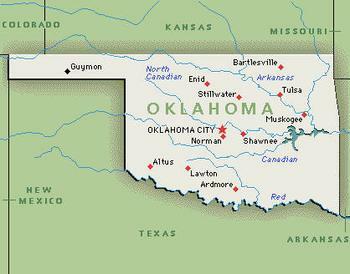 However, expressing this sentiment in a way that will make it very difficult for Oklahoma businesses to contract with customers in foreign countries under standard terms, of for private individuals to choose the rules under which their own private disputes will be arbitrated, is not the way to do this. « Much Ado About Torture Warrants: Should They Be Allowed?